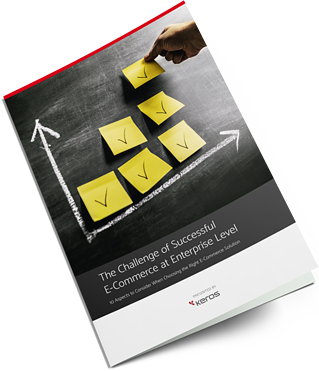 Download our in-depth white paper to discover the 10 most important aspects to consider when choosing an e-commerce solution for enterprises. Facts and numbers about current e-commerce trends and challenges. Strategies developed by industry experts to transform your retail business: from order management to customer experience. Practical advice on how to overcome the challenges of e-commerce and compete with large marketplaces and retailers.